Designed By Paolo Venini and originally Introduced in 1957. 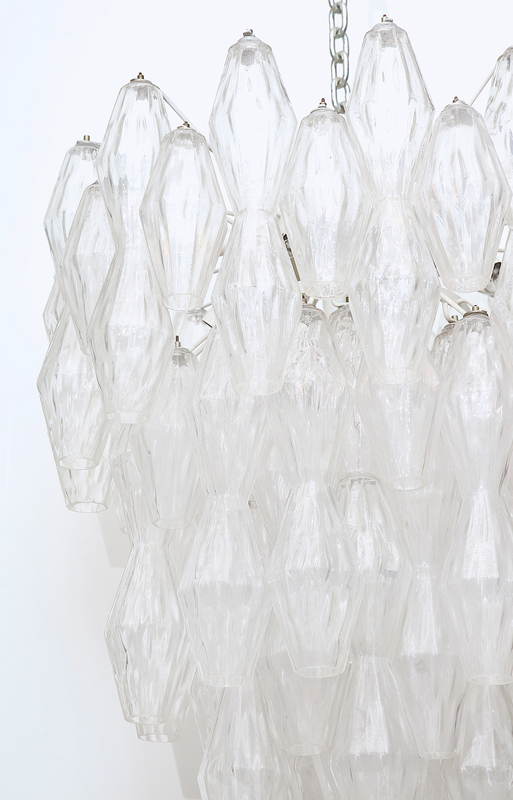 Beautiful and large fixture with textured blown glass. 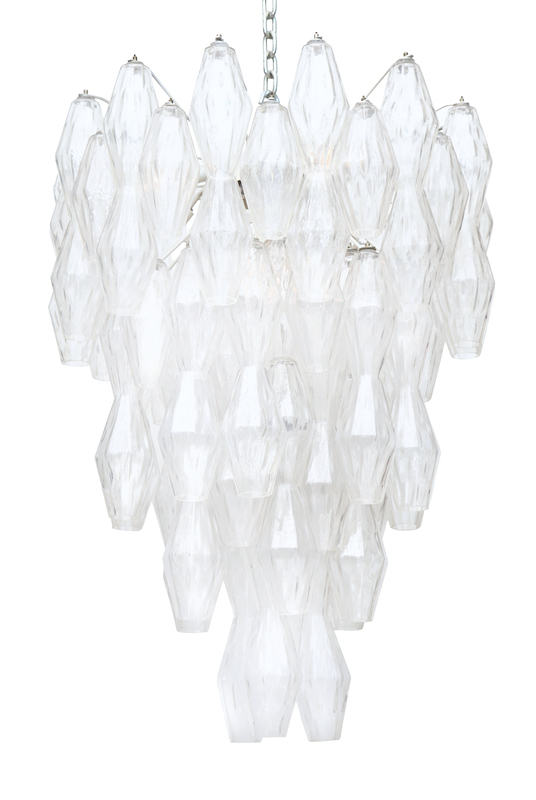 Abstract diamond forms with faceted sides hanging from multi-armed Interior frame, with 14 candelabra sockets. Very elegant. *2nd matching fixture available. Good condition. Recently rewired, there are minor chips and scratches to some glass pieces, consistent with the age of the piece.